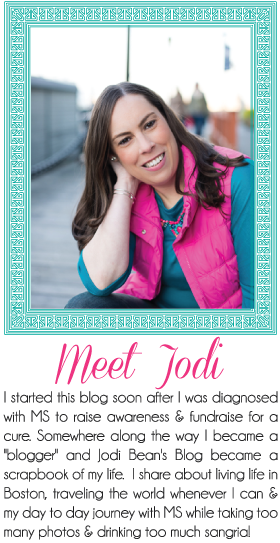 Jodi Bean's Blog: When Life Gives You Lemons. . .
Life has given me a lot of lemons in 2014. . . enough to make a few gallons of lemonade. I like lemonade and all but I'm ready for some better luck. Today on my way to work I hit a pot hole on the highway (same one I hit yesterday) and got a flat tire. A total blow out. On a car/tire that is only 9 months old. Bummer. Not a great start to my day. But thanks to AAA, a wonderful co-worker who picked me up and $250 bucks I now have a brand new tire and clean oil. Joy! I won't go on and on about all the crappy things that have happened in 2014 b/c that would just be whiney and depressing. But let's just say I've had enough. Of course the highlight of my year has been my amazing, outstanding and incredible vacation to Italy. I took about 600 photos so I'm still organizing and editing them but I'll be sharing plenty of them soon enough. I'll also be blogging about my trip to Michigan for my grandfather's services. Right now I just don't really feel like blogging. Blame it on jet lag or wanting to still be on vacation or just laziness. I just can't motivate to write a "real" post at the moment. I do have a 3 day weekend coming up with a long to-do list and much of it has to do with blogging. Sorry I've been a bad commenter lately. I have been reading your blogs! I promise. I just do it on the run from my phone and since have a crappy iPhone 4 it doesn't let me comment. I promise I'll be better soon. You have had a lot going on! The long weekend will help! First of all, that lemon photo would look great framed in a kitchen! I hate my car too. It has died three times this week and I've put over $2k into it in the last year. I think I'm just going to get rid of it and walk everywhere. DONE. I agree with Kate, the lemon photo is the bees knees. Should be framed! I'm sorry things see so sour lately, (and sorry for the bad analogy), but try and stay positive and here's to things looking up!